Casa Alfredino offers self catering accommodation in the form of 3 apartments with lovely mountain and forest views. All 3 apartments offer 1- 2 separate bedrooms, modern bathroom with shower and living area including kitchen- diner and comfortable lounge area with TV and Wifi facilities, perfect for couples, families or groups. Pelmo Apartment (Ground floor): Sleeps 2- 3. Double bedroom with double bed which can be converted to 2 x twin beds. 1 x modern bathroom with shower. Generous living area with kitchen diner and single sofa- bed. Price £370- £500 per week (Sat- Sat *as a guideline but midweek start dates and breaks of varying length possible) depending on time of year. 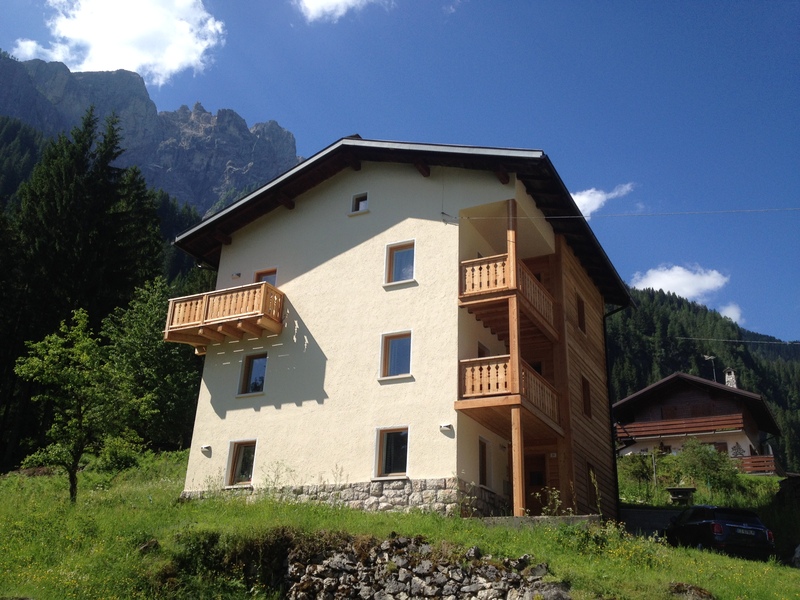 Civetta Apartment (First floor): Sleeps 2 – 6. 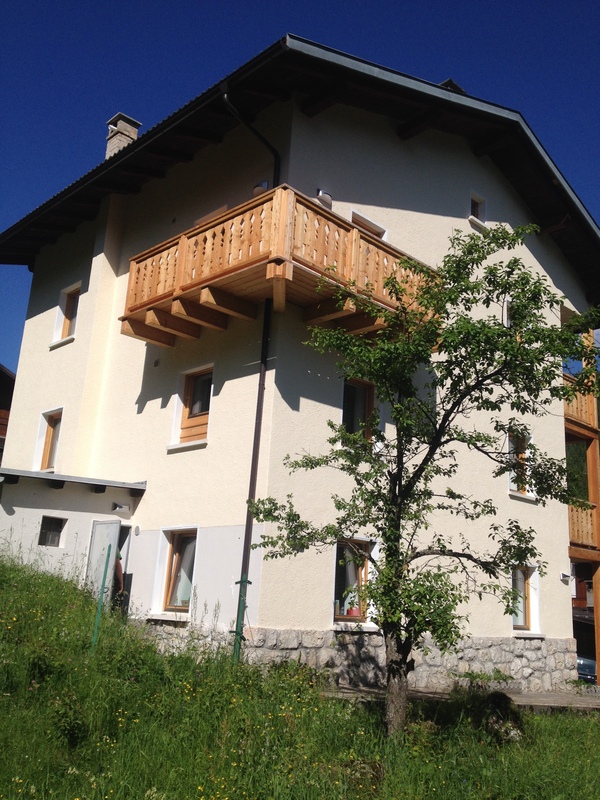 4 beds in a mountain hut- style bunk room and a kit room dedicated to storing bags, gear and clothes plus anything you might need for the week, 1 x modern bathroom and generous living area with kitchen diner and large corner (double) sofa bed plus balcony. Price £495- £650 per week (Sat – Sat * see note above) depending on time of year. 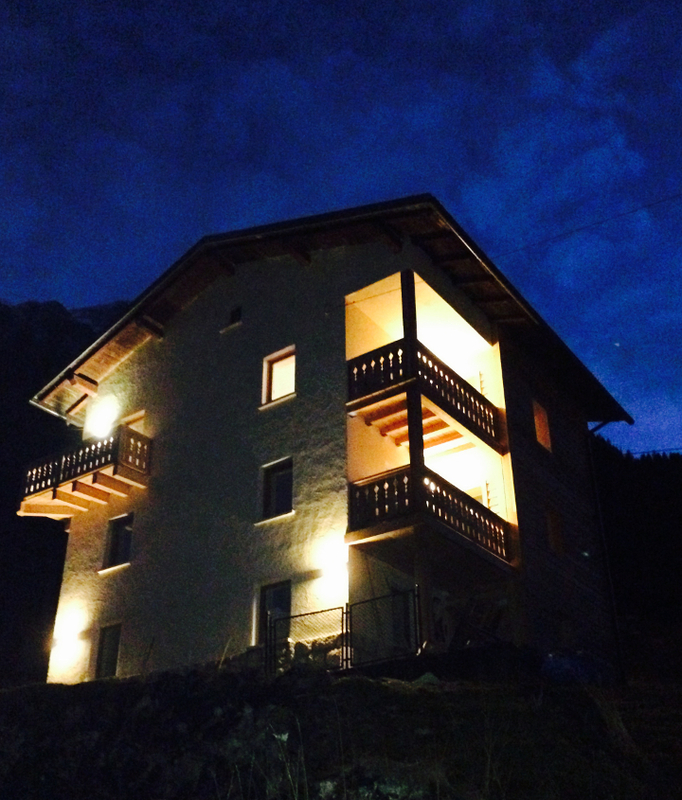 Marmolada Apartment (Second floor): Sleeps 2 – 6. Double bedroom with double bed which can be converted to 2 x twin beds. Small bunk room to sleep 2 x adults or 2 x children. 1 x modern bathroom and generous living area with kitchen diner and larger corner (double) sofa bed plus private balcony. Prices are set at 3 levels for low, mid and high season. Please go to our prices page for full details.